For PPAT, I am in Team Erica, which is working towards developing a primarily software solution for our client. Our client undergoes certain periods in which she is unable to communicate verbally and, at times, also feel disoriented, for a variable amount of time. As requested, we are developing an iOS mobile application that will allow her to communicate and even send her location to others according to the severity of the episode. Before our second meeting with our client, we shared mockups of a potential app solution and asked for feedback on its main communication function. However, towards the end of our meeting, something struck me. We were merely prefacing how the app would also have an “analytics” section which would automatically monitor instances in which Erica would report an episode and after it, allow her to add more data to the event, such as time of day or potential environmental causes. I realized that Erica’s episodes were so variable to the extent that neither she nor her doctors could identify clear causes. As such, it became apparent that our app solution would not just have one main role, which we thought would primarily be facilitating communication, but also in helping Erica ascertain what exactly pushes her to experience a nonverbal episode. For example, our client suspects that her episodes occur more often during specific seasons of the year, but she does not have the data to prove this correlation. I believe that this was a very valuable meeting with our client since it added dimension to what our assistive technology could accomplish. Rather than solely assisting Erica in her time of disability, it could potentially help discover the root cause of it and even help her avoid these in the first place. I have a hidden, albeit temporary, disability that affects almost everything I do in daily life. My concussion has limited my abilities to read, exercise and socialize for the past five months. I am much improved now, but over the summer, managing my concussion took over my life, as I couldn’t walk, read, or talk to anyone without feeling very dizzy. Stuck in bed, it was often challenging to think of ways to pass the time. Many concussion guides online have great tips to cope with a concussion, but the paradox lies in that concussion patients don’t even have the capacity to go online and access those resources. These concussion guides also have very real stories and medical tips that can help a patient cope psychologically and thus heal faster – if only the patient could read them. I didn’t even know about Android’s TalkBack feature, which allows blind patients to use their phone. Such a feature could have saved me some agony and given me access to the online world, helping me in both medical and psychological ways. My point in writing this post is not to elicit sympathy, but to draw attention to the fact that not only is it important to make assistive technology, but to also make it accessible to those who need it. This includes the dissemination of information (ie making concussion guides available as books), or adequately publicizing technology so that those who are disabled can know about their options. Oftentimes, assistive technology seems to be purposefully hidden, which parallels the effect to which society attempts to hide their disabled individuals. Hopefully one day, assistive technology can be as public and glorified as technology for healthy individuals. “World Health Organization (WHO) estimates that 285 million people are visually impaired worldwide. Another 360 million people globally suffer from hearing loss. Over 70 million people use a wheelchair.” As we rapidly innovate in each coming year, there also continue to be a significant portion of the population that is unable to access services in the same capacity. Assistive technology provides the ability to facilitate more universal access to the various opportunities encountered in life. I was reading an article on some of the future innovations. 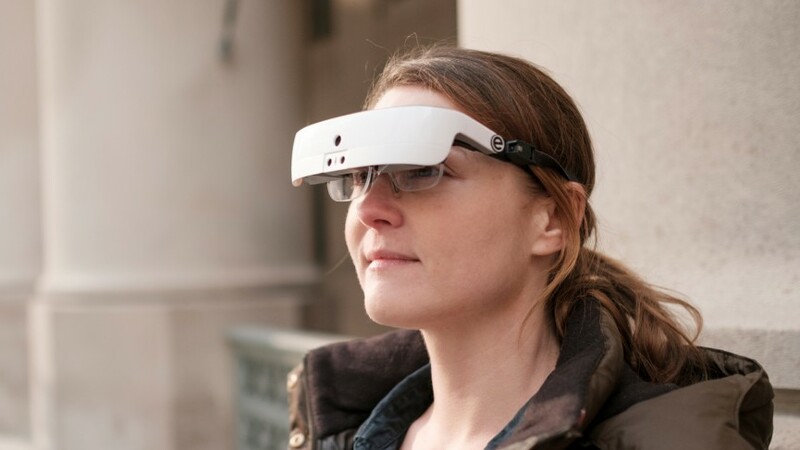 One was a touch-less screen in which eye and head movement tracking would direct navigation for those without the ability to use their hands properly. Another allowed a person using a wheelchair to roll directly up a ramp into a car and begin driving using hand-controls. Another product is actually an exoskeleton that reduces physical exertion in the bending and picking heavy objects up for construction and blue-collar workers.There can be several technologies created to serve as a preventative for physcial strain and damage. It’s exciting to think of future prospects for some many as innovations continue to come. While human beings have become more accepting and understanding toward people with disabilities, there is still a stigma associated with being disabled. Many people are unsure how to deal with people with disabilities, view them as less than complete, and even think they must be miserable due to their conditions. As a result, many baby or patronize them in situations where it is unnecessary or even offensive. What has been made clear by many people with disabilities is that they want to be treated like everyone else, not just because it makes them feel good, but because many do everything they can to overcome and adapt to their disability. The human body and mind has an incredible capacity to adapt, and some who face the great adversity of disability adopt a mindset that allows them to pursue their goals and lead normal lives in spite of their disabilities. The speaker we had come to us two lectures ago uses a wheelchair, but does not let it define him. Rather, he has had an immense impact on the lives of other people who live with disabilities, educates many on how to treat people with disabilities, and has proven that despite his condition, he is able to live a life of excellence. He recounted stories to us of a female friend who is on a respirator, missing limbs, who has advanced to executive positions in her career through her grit and refusal to be defined by her disability. With the aid of assistive technology, people with disabilities have been able to actualize their resiliency to succeed, and because of this, there is no need for any of us to look at or treat them differently; many of them can do everything we can and more. Assistive technology is a very interesting point for me as I am looking towards doing work in the developing world. One of the major pains in the developing world in countries such as Nigeria is infrastructurally they are much further behind than counterparts in the developed world. Being behind in 2017 though affords Africa an opportunity to build infrastructure and technology that optimizes for disabled people. At the same time, the more nascent societies can implement guidelines and laws that correspond with the infrastructure that is being built. Society and infrastructure can cater to disabled people by providing wide access to the technology and investing in modern design structures that optimize for disabled people. As an example, while in Nigeria I saw dozens of young and old people with lame legs due to polio affliction. They were forced to navigate around on boards with wheels. Having to navigate at the height of a skateboard certainly looked challenging. Wheelchairs are technology that these folks should have access to. And there is a lack of well-paved sidewalks in many residential and business areas. As these are being built, they should take care to optimize for those with disabilities.